Once again, we invite you to join the world's celebrated artist-teachers and young pianists of outstanding talent exploring, for the 28th consecutive year, the riches of piano literature in the spirit of genuine, mutually nourishing camaraderie. Since its inauguration in 1992, the Tel-Hai International Piano Master Classes have earned a name and high esteem the world over for artistic integrity, dedicated work, uncompromising professional standards and – not the least – the warm, informal atmosphere. The Classes have played host to many top teachers and young artists from more than thirty countries on five continents. 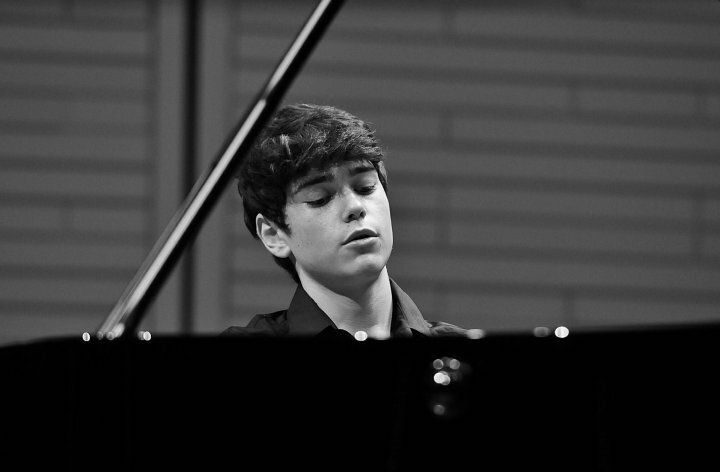 Quite a number of students have gone on to perform as soloists with the world’s best orchestras, participate in prestigious festivals and concert series and win prizes in international piano competitions. We are immensely proud of our alumni. The Tel-Hai Master Classes are dedicated to the memory of Marina Bondarenko, one of its founders and the indefatigable general director for ten years, up till her tragically premature death. The Master Classes take place at our summer home, Midreshet Sde Boker – an inspiring environment, located in the magical region of Ramat HaNegev. All our Concerts and public Master Classes are held in Evens Hall, courtesy of The Jacob Blaustein Institutes for Desert Research, Ben-Gurion University of the Negev, Sde Boker Campus. During the Classes, the participants are encouraged, in addition to the intensive work with their teachers, to avail themselves of the opportunity to appear in numerous public concerts; best performers will be singled out for prizes. We are again offering our special Piano Duo Course which was launched in 2005. This course for existing ensembles only, will take place within the framework of the regular Master Classes. The Masterclasses enjoy the cooperation of the Israel Symphony Orchestra Rishon LeZion and the Raanana Symphonette Orchestra; winners of the concerto competition, held in the framework of the Classes,are invited to appear as soloists with orchestra the following season. Even as the main emphasis is on the solo repertoire, those involved in playing chamber music and / or art-song literature, are offered the opportunity to work with some of Israel’s leading, internationally celebrated artists, who will coach the students as they perform together. We are proud and honoured to have as our patron the world renown pianist, Evgeny Kissin. Come and join us – to work and broaden your artistic horizons, to meet peers from the world over, to make new friends as well as to enjoy yourselves in one of the most beautiful and inspiring corners of the world. Prof. Victor Derevianko & Prof. Emanuel Krasovsky, Artistic Directors.